After 45 of dedicated service Veterinarian Ralph Farnsworth (also known as Doc to some) has retired. He will still be seen around the zoo grounds not as a vet but as a volunteer. 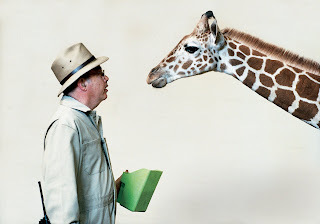 He has many memories of working with all of the animals and people but his favorite animal is the giraffe. Doc has taught so many things to so many people. Thanks Doc for all of your great service here at Como Park Zoo.